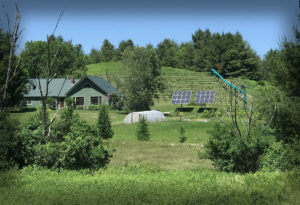 There are three broad categories of solar heating: passive solar, solar hot water, and solar photovoltaic paired with a cold climate heat pump (CCHP.) That last one is what most people mean by “solar heating,” and it is the focus of this article. 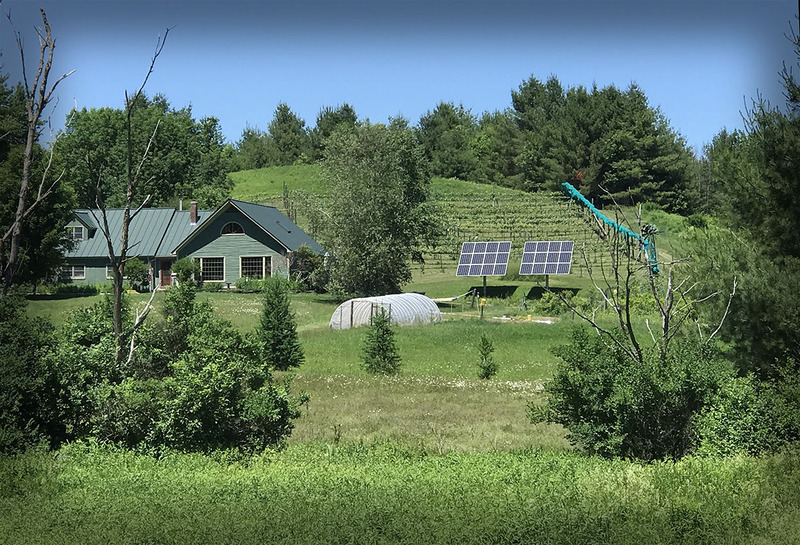 It’s important to understand that pairing a solar photovoltaic array with an electric CCHP isn’t technically solar heating; it’s electric heating. 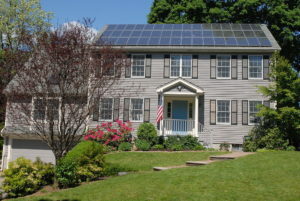 Your on-site solar panels don’t directly power your heat pump—they send extra power to the grid during the summer when the sun is high in order to balance the extra electric heat load you use during the winter. That should make your annual electric bill cost neutral. It will also make your greenhouse gas emissions roughly carbon neutral. It’s not an exact science because the amount of fossil fuel used to create your wintertime electricity is dependent on your electric utility’s fuel mix. Some grids are completely renewable, others are 100% coal powered. Since you’re taking the time to read an article about solar heating, I’m going to guess that you’re the kind of person who cares about climate change. You are on the right track—heating is the biggest single contributor to a household’s carbon footprint! Will solar heating work for my home? Whether or not solar heating will work in your home is a fairly complex question. Part of the answer rests on the kind of home you have. If it’s a super insulated, passive solar home certainly the answer is yes. If it’s a historic home, with many small rooms and an existing central heating system, solar heating might not be your best option	. Chances are your home is somewhere in the middle. 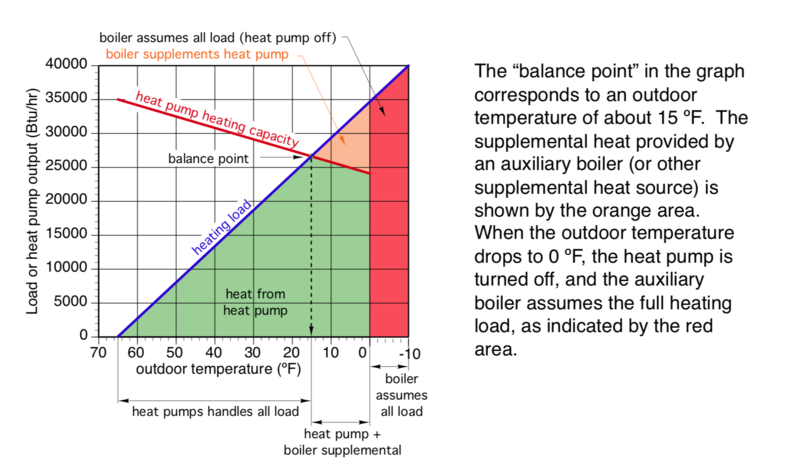 For a full discussion of how building design, construction, and your existing heat distribution system play a role, see the article How Cold is Too Cold for a Cold Climate Heat Pump? 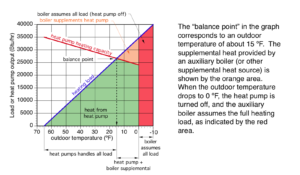 What kind of heating distribution system is already in your house? If it’s hydronic baseboard the answer is probably no— at least not without some significant renovation which would make the project even more expensive. (If that is the case, you can still heat green with a pellet furnace.) 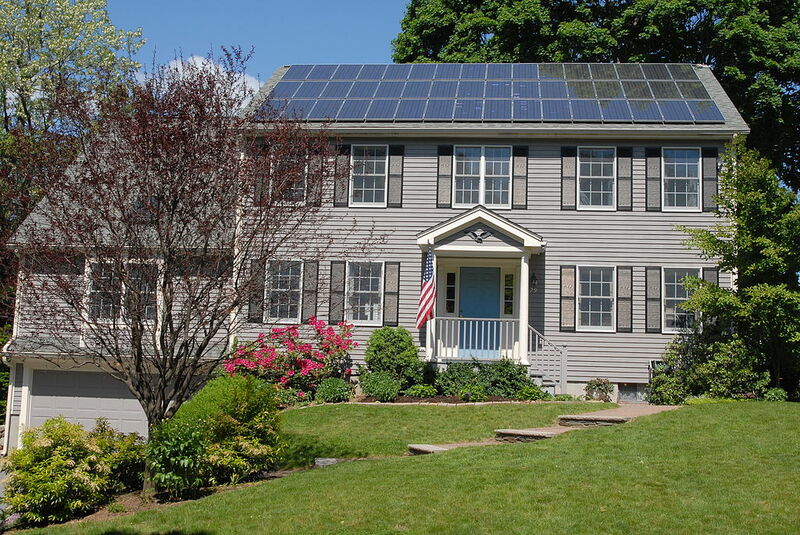 If your home already has cold climate heat pumps, you are well on your way to solar heating. Your local solar installer will be able to provide you with all the information you need about incentives, green energy loans, and cost neutral leasing. The most important element in determining whether or not solar heating is affordable in your situation is long-term evaluation. When you add together the costs of solar array, heat pump installation, and supplemental heating appliances (and annual fuel cost), the initial investment may be pretty high. But over the life of the system it may turn out to be your most cost effective option. After all, solar energy is free once you can collect it. Unless you have a super insulated home with a Heat Recovery Ventilation system (HRV), your heat pump will not output enough heat to keep you comfortable in the coldest part of the winter. Remember to factor in the financial and environmental cost of supplemental healing. If your goal is to heat carbon neutral, your supplemental heat should come from an EPA-approved wood stove, pellet stove, or pellet furnace, not heating appliances that are fueled by oil or gas. If at the end of your deliberations solar heating is not the right option for your home, you can still heat green with a wood pellet furnace. If your home has a central heating system a pellet furnace (or boiler) might be a more-affordable, easier upgrade that doesn't require construction renovations to your home.